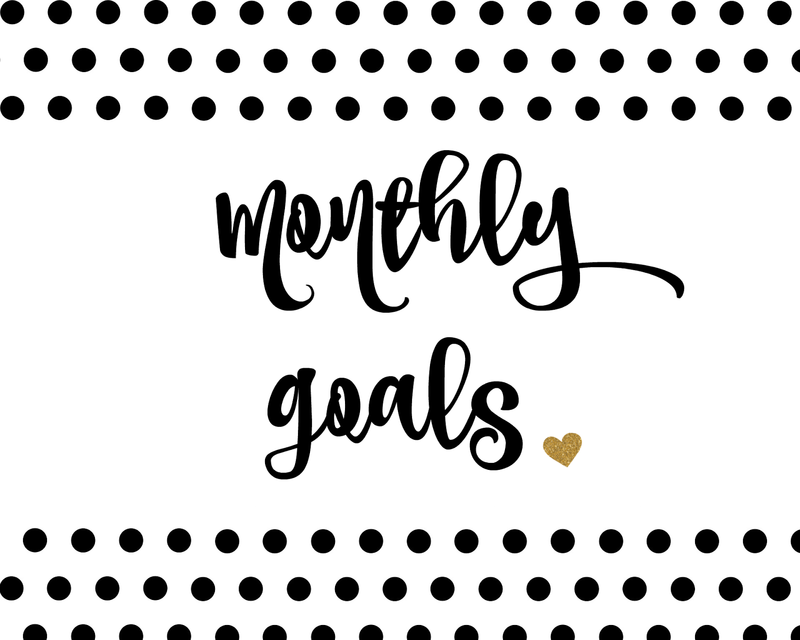 Before I share February's goals, let's see how I did last month. 1. Get back on track with Weight Watchers. 2. Clean out kitchen drawers. 3. Get back on schedule with my daily quiet time. 4. Clean up the pantry. 2. Have a date night with Ben. 3. Keep everything that we have recently organized in its place. 1. Start updating pictures in my shop. 2. Work on my SEO's. 3. Add 5 new designs. 4. Be consistent with social media. 1. Share my daily post on social media. 2. Share my New Year's Resolutions. 3. Be consistent with social media. *I have gotten back on track with WW but since working out I am retaining fluids so I have only had a 1.2 weight loss this month. *I have cleaned out my kitchen drawers and pantry. I am hoping to share how I organized all the things soon and we have kept it all in the correct places. *I am doing really well with my quiet time routine and LOVING it! *I celebrated my birthday on the 9th by going to dinner with my peeps! * Ben and I enjoyed a date night at Chateau Elan. * Updating the pictures and SEO's in the Etsy shop is going to be a long process but one that I really want to complete over time. I finally got my backdrop the way that I like it! *I did add 5 new designs. *I was very consistent on social media! I didn't post every day but just about it! * I did not share my blog post very consistent on social media. I deleted My Glittery Heart Facebook page and just going to share on my regular Facebook account. * I posted almost every day on IG. * I made sure to size all my pictures correctly! 4. Complete 14 Days of Love Photo challenge. That's a lot to accomplish in such a short month!! But I hope I can do it! !